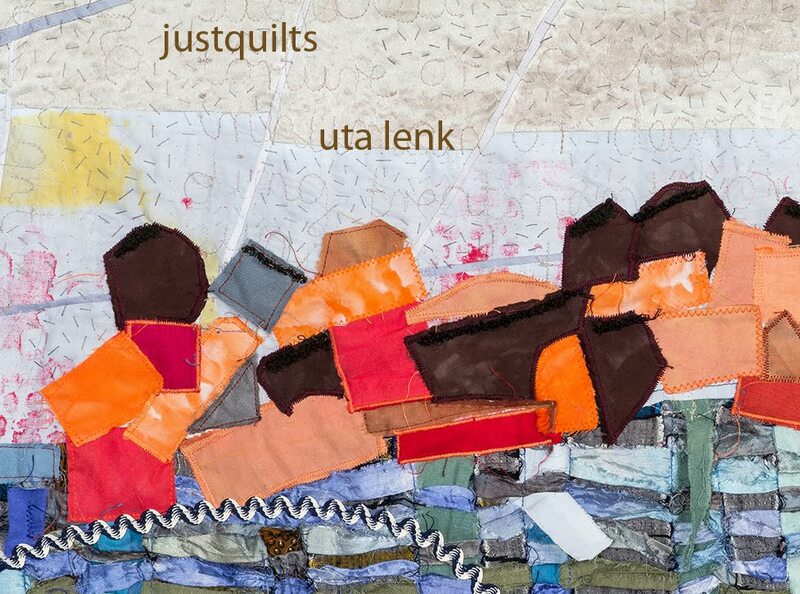 Uta Lenk - justquilts: Progress, but slow. Entertaining a nine-year-old during vacation is keeping me busy, so progress on that piece has been slow. But steady, and I have finished the part with the drawn threads. It does look quite interesting. And because another vacation activity is taking us out of town today, I have another day to think about how I will continue. Will I go across the drawn threads once, to keep them down, or will I take the risk...? 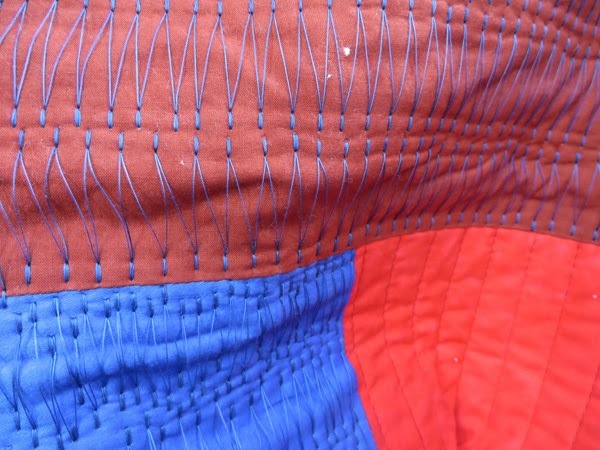 How will I quilt the remaining dark blue section? And then there is still no. 2, waiting... 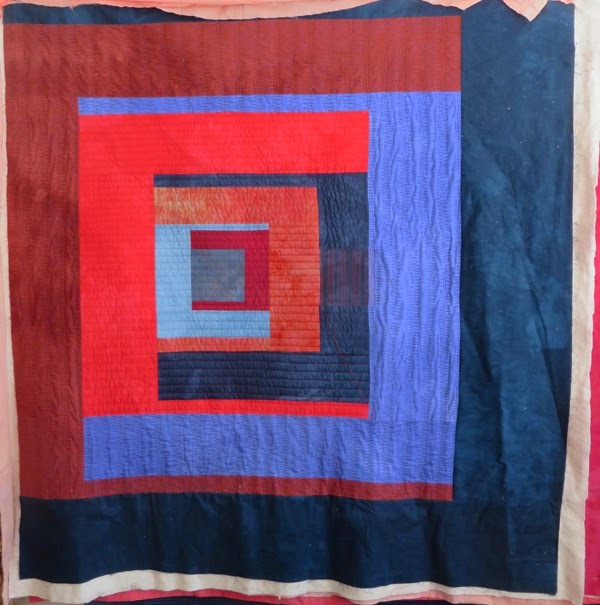 It's getting high time that these pieces be finished - I need to hand in the address list for the invitations, write an article for the newspaper, put together the list of quilts for the insurance... Lots of things that need to be done before an exhibition, even if that is still 7 weeks away. I really like the texture that the drawn threads create. I agree, Maggi - it does look very interesting. And I have decided to take the risk, not go over it again, as I think it would completely destroy the effect. Next time I use this, however, I will make sure to keep the drawn threads shorter, to minimize the risk!